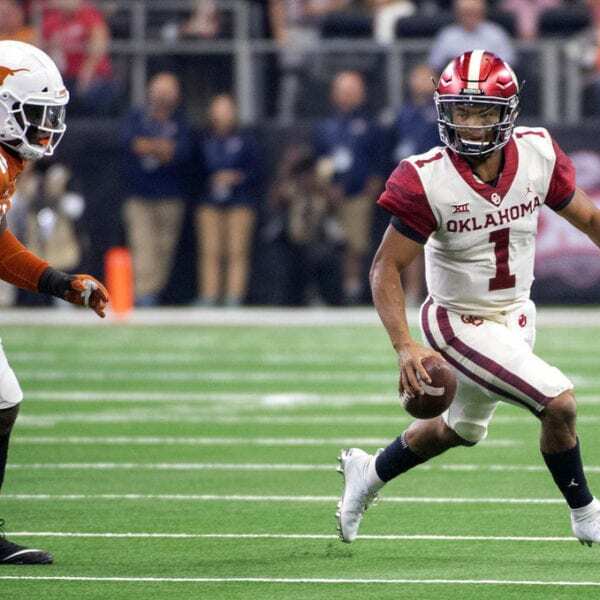 ARLINGTON, Texas (AP) — Kyler Murray threw for 379 yards and three touchdowns as No. 5 Oklahoma beat No. 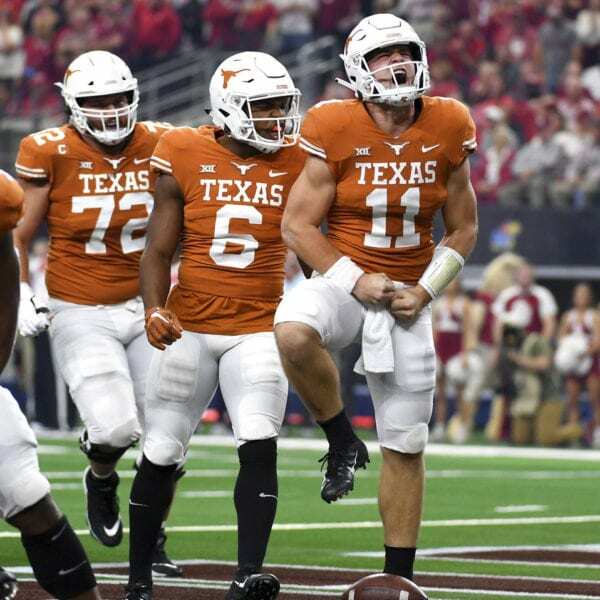 9 Texas 39-27 in the Big 12 championship game Saturday, with the Sooners avenging their only loss and making their case for a return to the College Football Playoff. Murray, the Heisman Trophy-contending dual-threat quarterback, threw two of his TDs to Grant Calcaterra. That included an impressive 18-yard score on a third-and-10 play with two minutes left as the Sooners (12-1, No. 5 CFP) won their seventh consecutive game despite being held to fewer than 40 points for the first time in nine games. 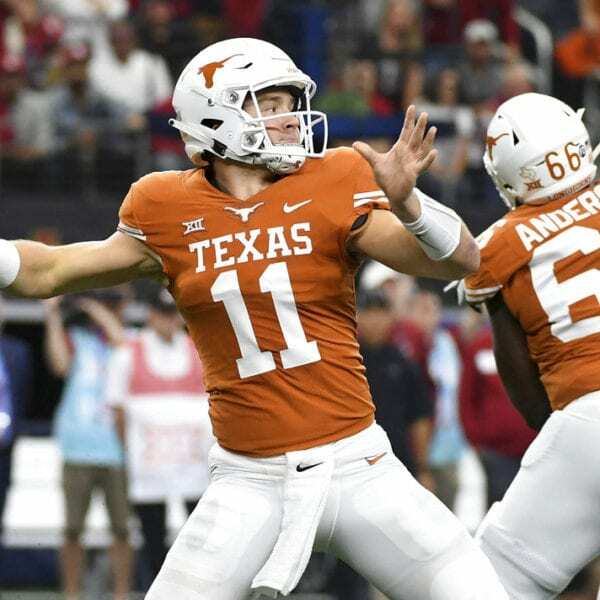 Sam Ehlinger was 23-of-36 passing for 349 yards with two touchdowns, and he also ran for two scores for Texas (9-4), but his final pass was picked off by Tre Norwood at the 1 in the final minute. 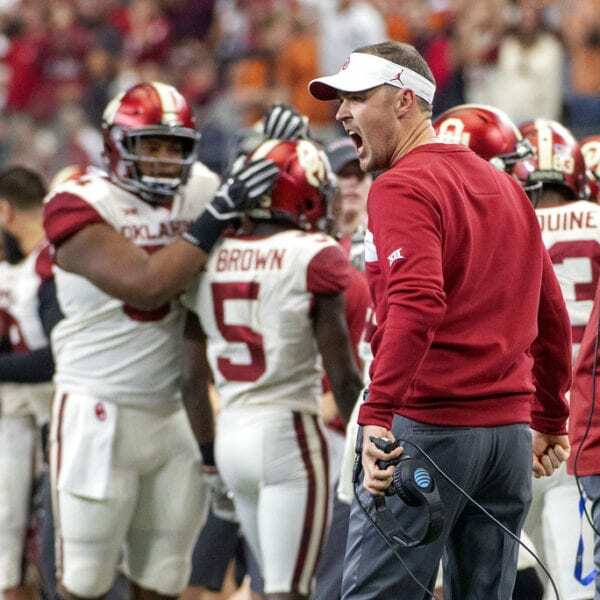 Oklahoma is the first Power Five team to win four consecutive outright conference titles since Florida in the SEC in the mid-1990s. 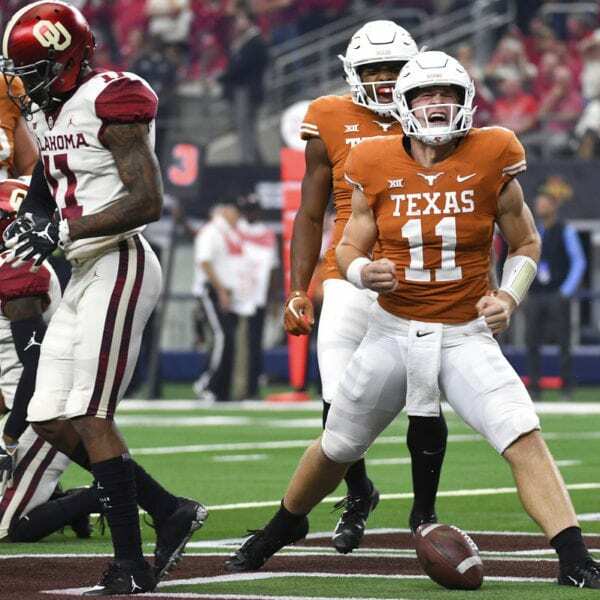 The Sooners went ahead to stay on Austin Seibert’s third field goal, a 31-yarder with 12:37 left that was good after ricocheting off the top of the left upright to make it 30-27. 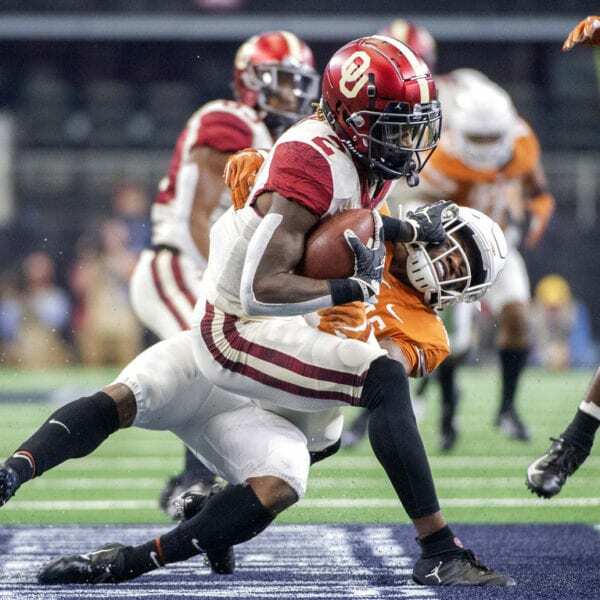 Two plays after Oklahoma’s only turnover, when receiver CeeDee Lamb fumbled inside the 10 after a 54-yard catch-and-run with nine minutes left, the Sooners got points anyway. 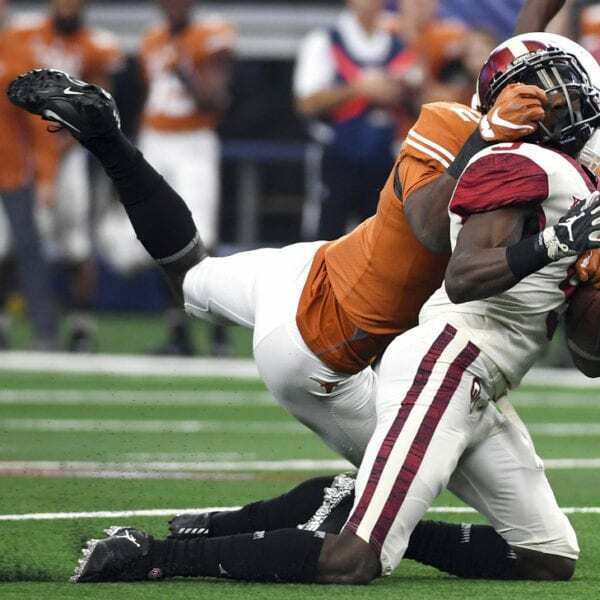 Cornerback Tre Brown sacked Ehlinger in the end zone for a safety. 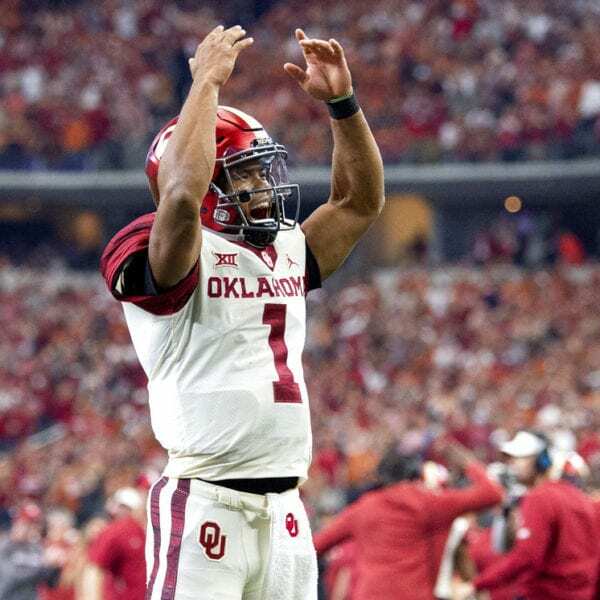 Oklahoma never trailed after Murray threw TDs on its last two drives before the break for a 20-14 lead, on Calcaterra’s 6-yard TD pass in the final minute when the Sooners were out of timeouts but went 80 yards in five plays. 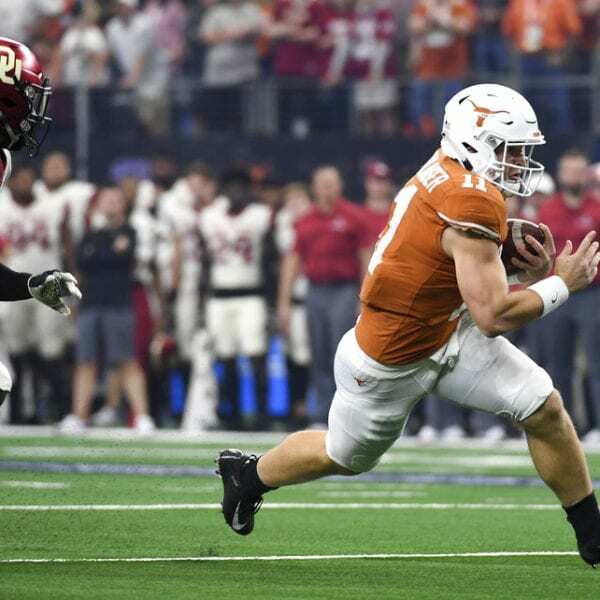 The Sooners were up 27-21 until Ehlinger threw a 5-yard TD to Lil’Jordan Humphrey with 2:44 left in the third quarter. 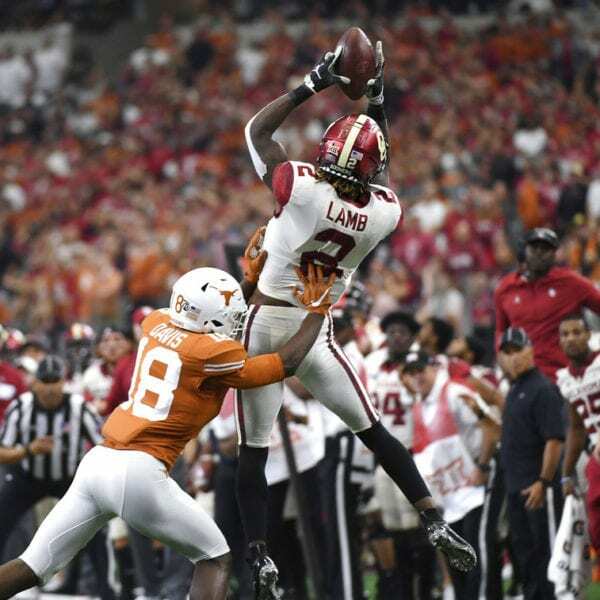 But the extra point that would have put Texas ahead was partially blocked and clanged off the crossbar no good. 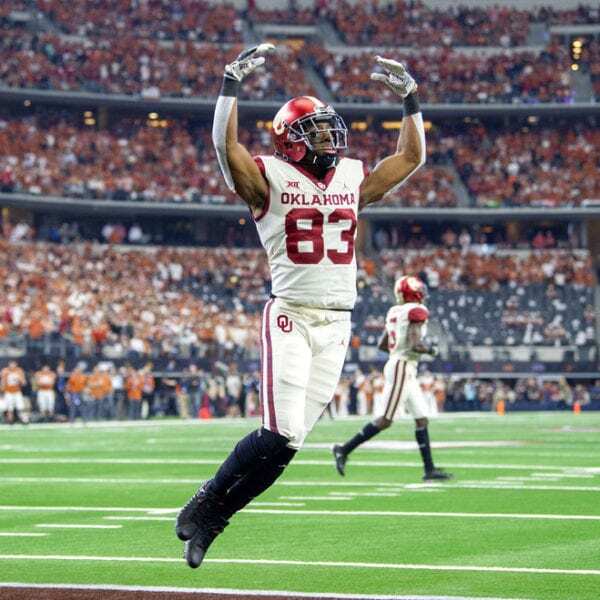 Texas: Collin Johnson set a Big 12 championship game record with his 177 yards receiving on eight catches. 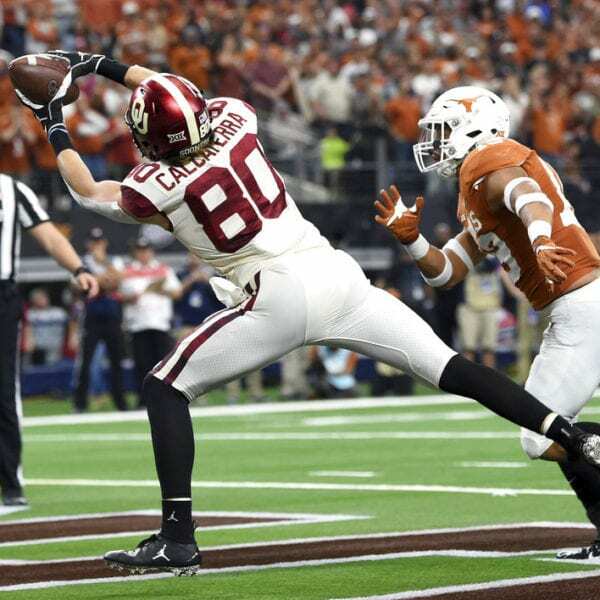 He had a 27-yard TD catch in the third quarter on a drive when he also had catches of 25 and 21 runs. Oklahoma: The Sooners won their 12 overall Big 12 title. 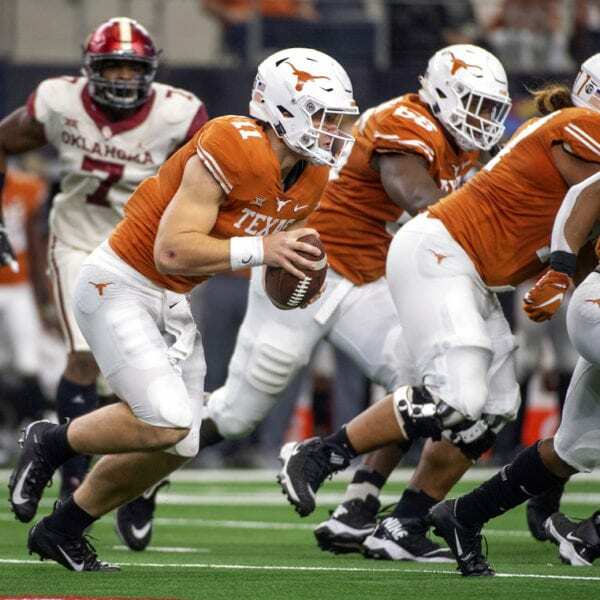 They are the only Big 12 team that has made it into the College Football Playoff, going in 2015 and again last season with Heisman Trophy-winning quarterback Baker Mayfield. They haven’t made it to a CFP title game. 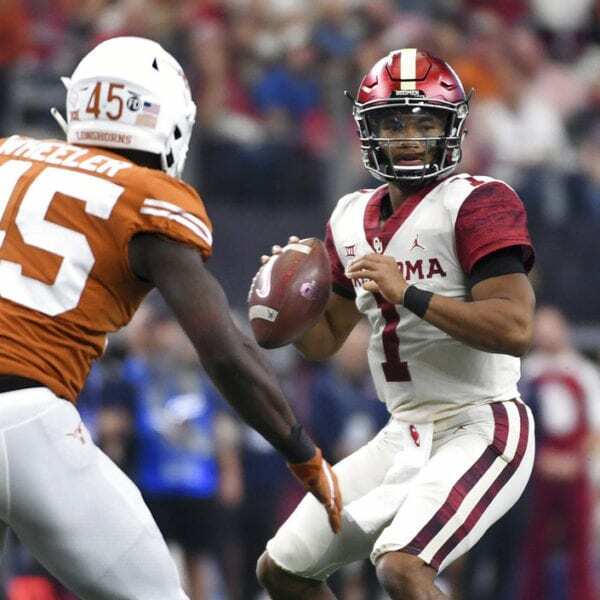 Oklahoma waits to find out if it gets into the College Football Playoff, which could mean playing in the same stadium in four weeks for the Cotton Bowl. If not, the Sooners go to the Sugar Bowl to play an SEC team. Be the first to comment on "CFP Hopeful No. 5 Oklahoma Beats No. 9 Texas For Big 12"